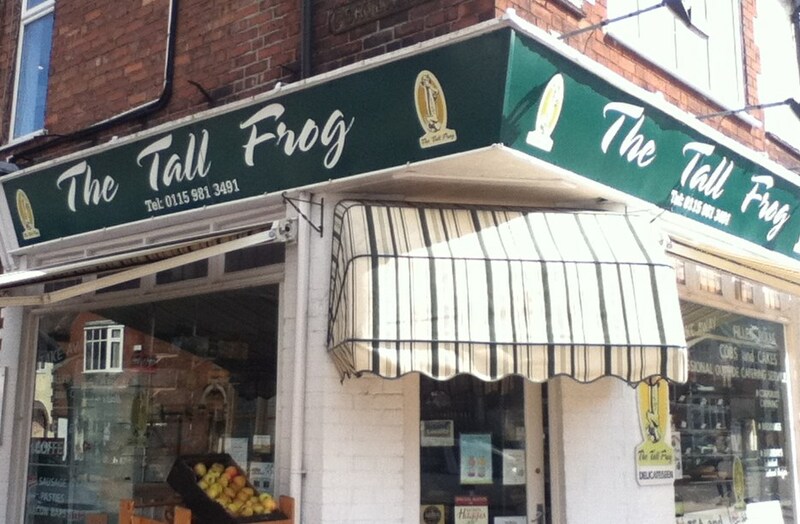 The Tall Frog on Melton Road is a family run deli and catering business. 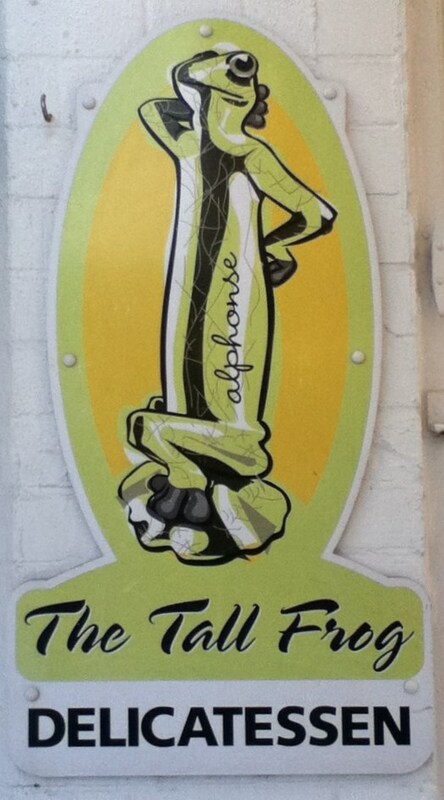 It is quite a small but well appointed deli with a couple of bar stool type seats inside and some tables outside, a nice patio space in front of the shop. In the sunshine I am thinking that would be quite a nice spot to sit, as the shop is set back away from the main road and the seats are tucked alongside in continental café style. I could have had a Hot Panini and if I did not already have a baguette from Canterbury’s tucked away in my bag then I may well have succumbed to the temptation. 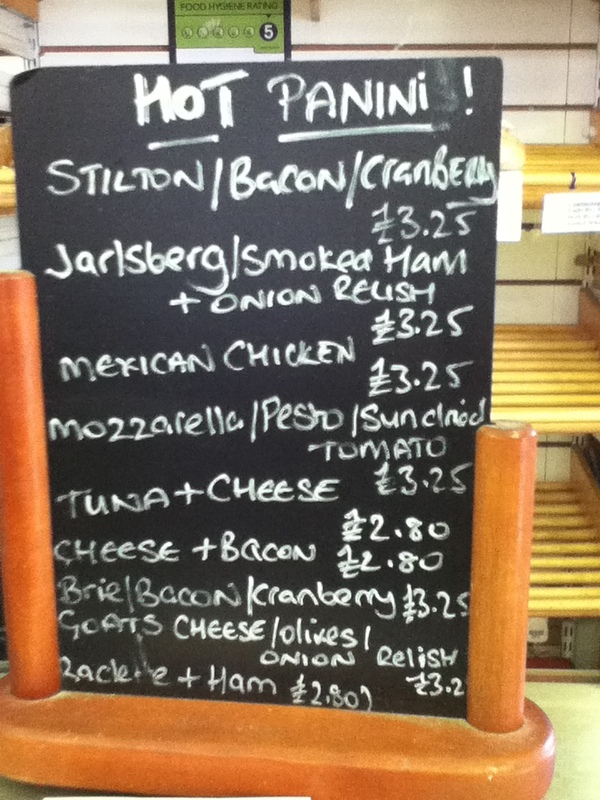 The Panini devil on my left hand shoulder didn’t really have much to offer except for the option of extreme gluttony, but the hot pie devil on my right hand shoulder? well he had much more opportunity and somehow he persuaded me to part with some of my shiny gold food tokens in exchange for one of the hot pastry items. 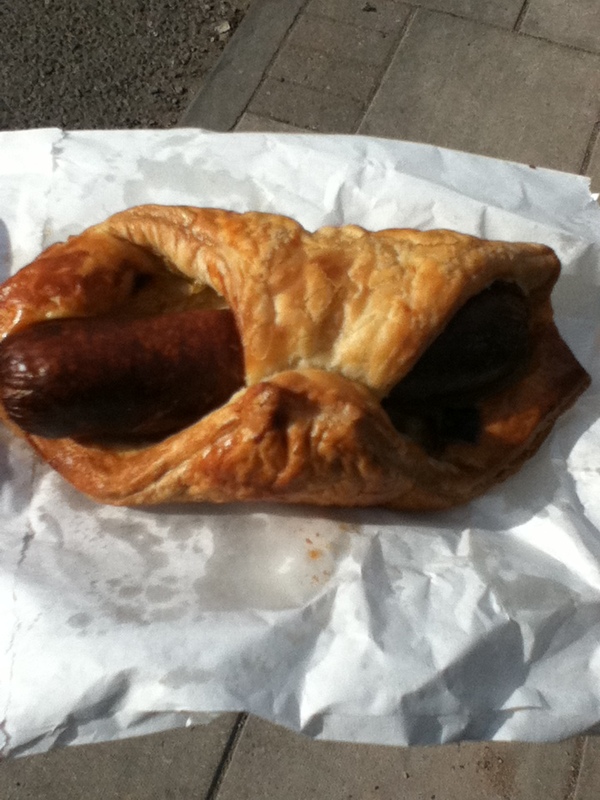 I ended up walking out with a sausage and onion turnover, a sort of sausage roll / pasty hybrid. Secretly I think that it is what gets made when you have run out of pastry but I wouldn’t tell anyone about that. The sausage was pretty crisped up where it was poking out of the pastry, and there was some soft onion hidden away in there just beneath the meat. 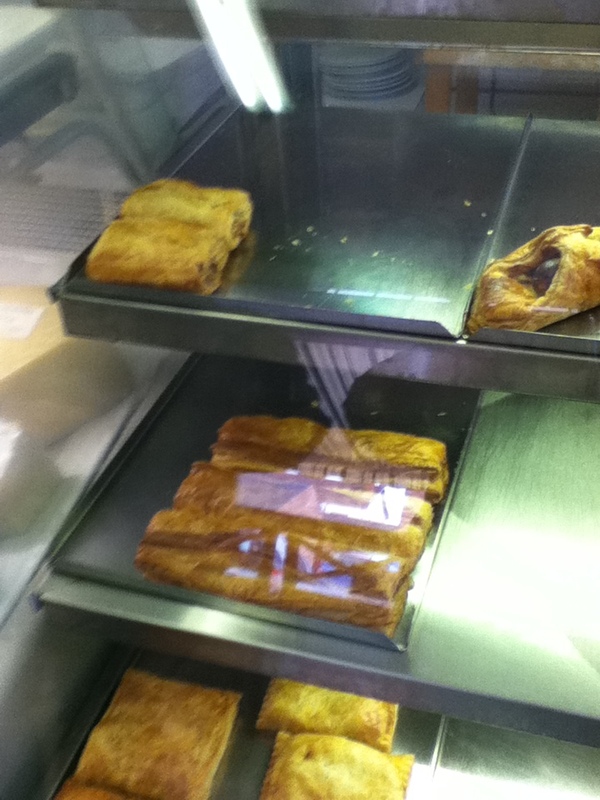 The pastry itself was that really flaky greasy stuff that crumbles as you bite in, gets stuck you your chin and then falls onto you coat as you walk along in big flakes like pastry dandruff. All in all Pretty good stuff then.